Every month, Fulbridge interviews a Fulbrighter from around the world to get a glimpse of what life is like in different placements. This month, Ayat Abourashed, 2016-17 ETA in Indonesia, and Morgan Harden, a 2018 ETA in Argentina, talked with Jimmy Von Albode, a student at Fordham University who completing his Master’s degree through Fulbright. 1. Why did you choose to get your Masters through Fulbright? All throughout college, my hope was to study in another country. I spent my childhood rarely outside of my state, so I have always wanted to explore the world as much as possible, and Fulbright was the perfect way to accomplish that. I was planning on getting my Master’s regardless of whether or not I received a Fulbright, but France has strong programs in mathematics, so it was a great fit. I also studied French literature in college, so I was excited to learn more about the culture directly. 2. Why did you choose France? 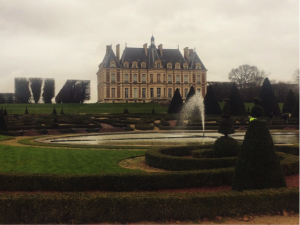 I chose to study in France because, aside from France having strong mathematics programs, I have always had a strong interest in French culture. I grew up watching old French New Wave movies and reading French authors, and that grew into me learning the language and finally studying here to learn firsthand. 3. Where and what do you study? I study Mathematics, Computer Vision, and Machine Learning, at the École Normale Supérieure Paris-Saclay in Cachan, France. 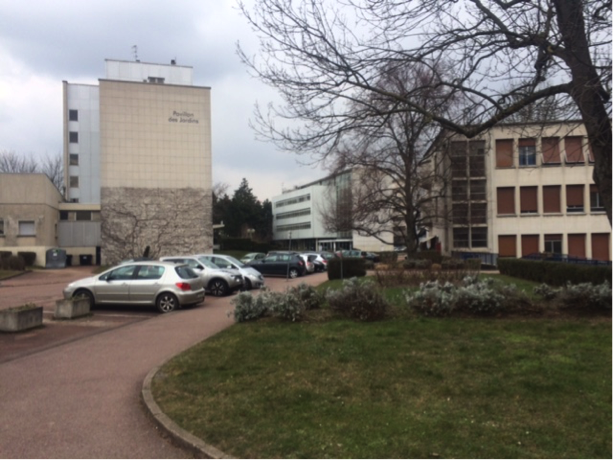 A view of the campus at ENS Paris-Saclay. Each semester, I have had 12 hours of class per week either 3 or 4 days per week. At the beginning of the semester, I am generally not that busy, so I am able to go to class for a few hours and then go to a museum or walk around Paris. Later on in the semester, I am very busy with work (60+ hours per week), so a normal weekday is mainly doing work and some exercise. 5. How do classes in France differ from classes in the United States? Mathematics classes in France are similar as far as lectures are concerned – laid back, with three hours or so of class per week. However, in France courses meet once per week for a longer period of time. The biggest difference between French and American classes is that you do not register for courses, which feels a bit strange at first. You simply go to the lecture and complete the assignment(s) required to validate the course. 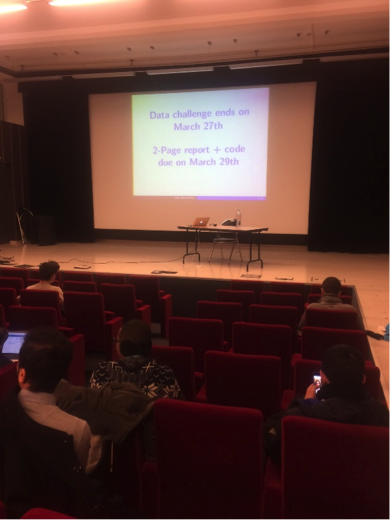 One of my classes, which takes place in a converted movie theater! One of Albode’s classes, which takes place in a converted movie theater. 6. If you have, how have you gotten more involved with the university outside of the classroom? How have you gotten involved with the community? I have had little involvement in my university, unfortunately. I find that many of the clubs on campus are predominately for undergraduates. In my community, I actively seek out cultural opportunities. There are some great museums, parks, restaurants, and markets nearby, and I have tried to visit as many as possible. 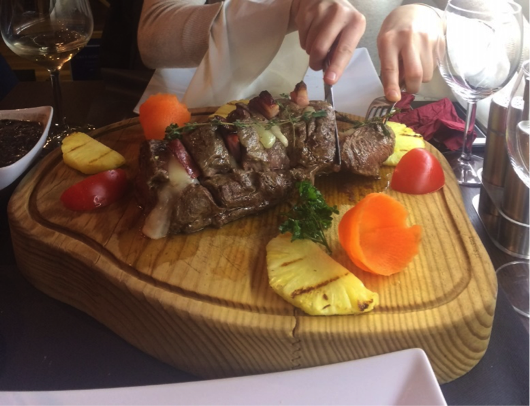 Dinner at a Portuguese restaurant in Cachan. Parc de Sceaux, in Bourg-la-reine, just south of Cachan. I would say that above all the greatest challenge is the isolation you can feel as a master’s student here. The community at my school and workload do not foster many close bonds with classmates, which made adapting to a country, where I know few people, difficult. However, you just need to put yourself out there and seek out new opportunities to better integrate yourself into the community. I have been able to visit nearly every major museum and site in the Paris area – something that many people spend years here and never manage to do. Just walking down the streets of different neighborhoods, eating and drinking well, and meeting new people are joys that I’ll always remember. 9. What will you miss the most? The lifestyle. I spent college as a neurotic New Yorker, but in France I have learned to take my time more. I’ll miss taking a 1-2 hour lunch, going for a walk in the park, and not rushing to get anywhere. The work-life balance is generally much better here than in the U.S. 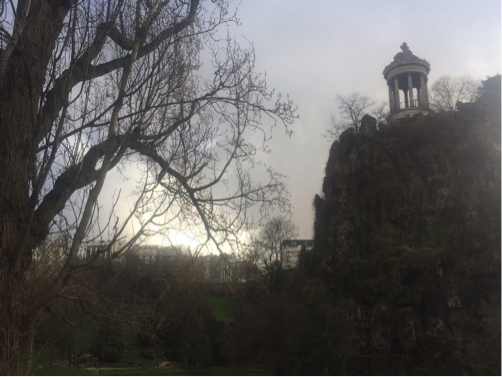 The Parc des Buttes-Chaumont, my favorite park in Paris. 10. 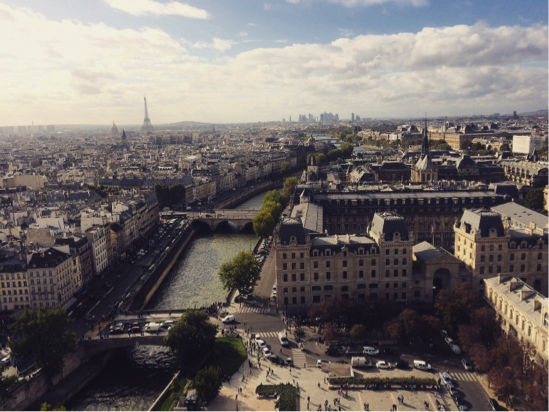 Why should prospective grantees apply to France for their Masters? France has a top-notch university system that is built for welcoming students from diverse backgrounds. While I took my courses in French, and I would suggest doing so for anyone learning the language, at many programs you will get by just fine with English. Above all, France is a beautiful country with a rich cultural heritage that only becomes richer the more time that you spend here. 11. What do you hope to do after your receive your Masters? I will be interning at Siemens Healthcare researching mathematical and machine learning methods for computer-assisted therapy technologies. From there, I will look for similar jobs where mathematics and machine learning can be used to better people’s lives. Jimmy Von Albode is a student of Mathematics and French Language and Literature at Fordham University.